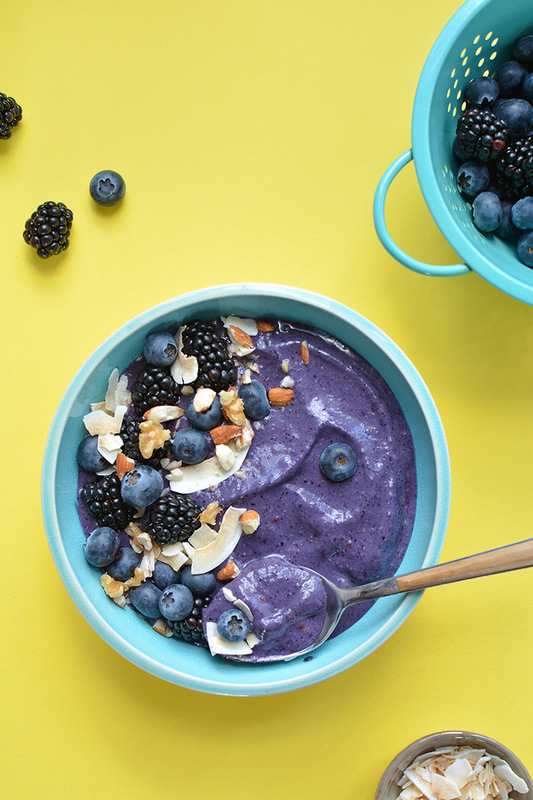 This berry smoothie bowl is packed with plant-based protein (thanks to the Vega Protein + Greens), gorgeous berries, butternut squash, flaxseed, nut butter, and 50% more calcium than dairy milk (thanks to the Silk Unsweetened almondmilk)! 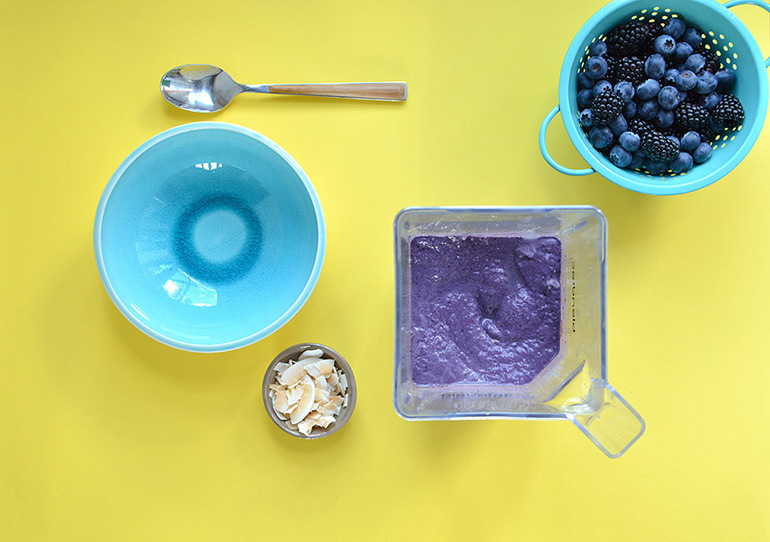 It is the perfect way to start the day! Our #1 goal for 2019: eat more plants. 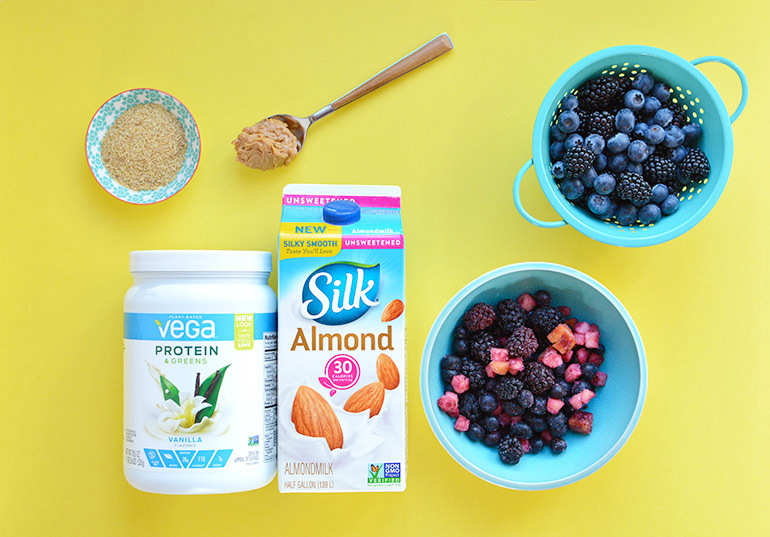 We love using Silk almondmilk in our morning smoothie bowls to keep things creamy and dairy-free. And while we are not entirely vegan, we are eating more plant-based meals throughout the week. It's good for our bodies, our planet, and our wallets! Get more tips here. #2 goal for 2019: have more fun together as a family. We kicked things off with a winter trip to Grand Lake to snowshoe, go tubing, and even more adventurous: ride snow mobiles through 50 miles of trails and forest!!! You know who loved it the most? BABYCAKES! That girl has a need for speed, lol. I'm already dreaming of a summer trip to Kauai and the Big Island. I haven't been to either (though we spent our honeymoon on Maui). 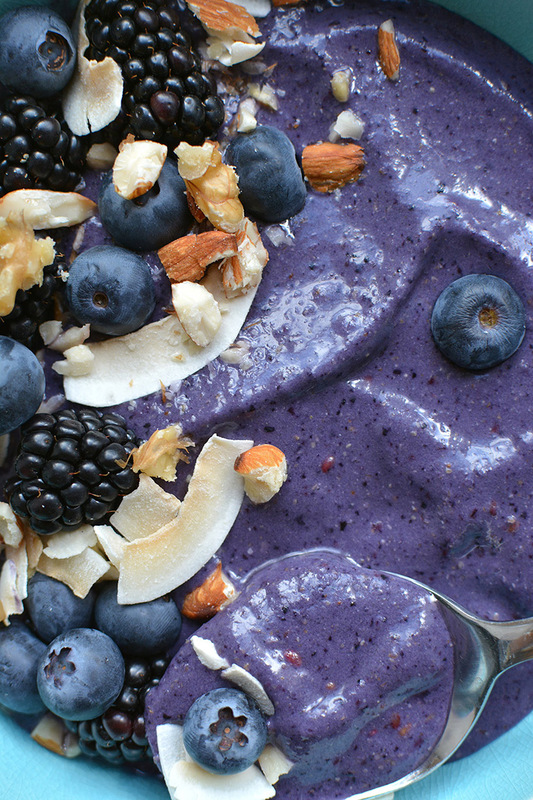 With all this recent snow fun, I am now dreaming of sunshine, beautiful beaches, and beautiful acai bowls. If you have any recommendations for those islands, let me know below! And last but not least, #3 goal for 2019: get stronger. And to do that, I started CrossFit a couple weeks ago. I'm sore a LOT, but getting stronger every day! Sometimes I get discouraged, but you've gotta start somewhere, right?! So, I'll just keep showing up and doing the work. And hoepfully by the end of the year, I'll be able to see a LOT of progress!